The first three months of the year have flown by and there is no sign of the positive news about our city faltering. We have seen the city’s football club perform heroics in the FA Cup and FA Trophy putting Lincoln on the map the world over and we wish them well as they now concentrate on their league placing in the remainder of the season. Lincoln Cathedral has recently confirmed that many individuals’ hard work has resulted in them receiving £11.4 million of lottery funding to create both a new visitor centre and an exhibition centre. With the big plans this year marking the Second Battle of Lincoln and the Charter of the Forest, our heritage and tourism sector continues to celebrate our past and expand ‘our offer’ for the future. In addition, less than two weeks ago, as part of the Conservative government’s Budget, more investment was announced to ensure our infrastructure keeps apace with the growing demands on the city. Again many of us, through the Greater Lincolnshire Local Economic Partnership (LEP) have worked away behind the scenes to ensure the success of the applications for our city and county. 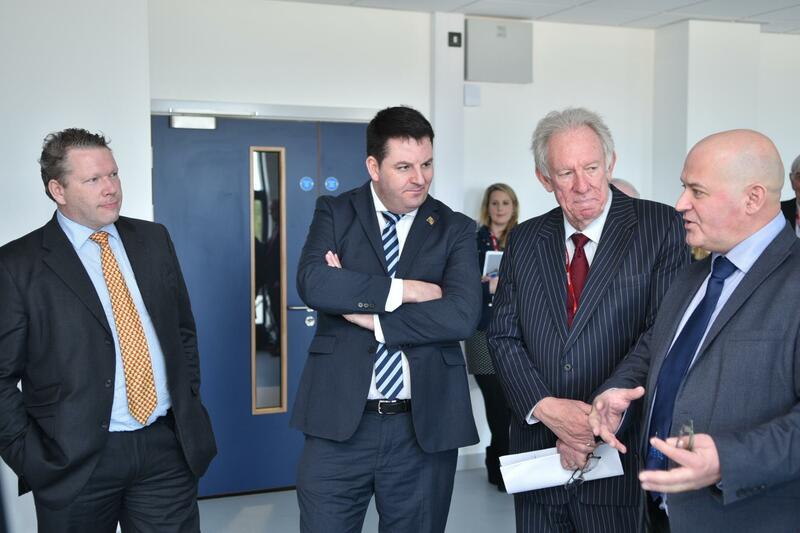 I joined LEP representatives including Councillor Colin Davie with Andrew Percy MP, the Parliamentary Under Secretary of State at the Department for Communities and Local Government at the University of Lincoln as he announced £5 million for the development of a Greater Lincolnshire Centre for Health Science. He also announced £11.2 million for a Greater Lincolnshire Advanced Engineering, Research and Development Centre developed between Siemens and the University of Lincoln. Our two universities, our college, UTC and all our excellent schools add real depth to our city, which due to its size, means that students coming here from all four corners of the globe to learn and study will always take away good memories of our ‘most loved’ city. They will feel they have been a part of its fabric. I have always felt that going to university in one of our big cities is a whole different experience to studying in a smaller city like Lincoln. While you are there to learn and study at both, you may not feel the same sense of belonging to the community by studying in a large city rather than a smaller one. One of my key political themes over the past and next year has been on boys’ education. It is why I was particularly pleased that the Chancellor announced extra investment into further and technical education which will benefit girls and boys alike – and of course those accessing courses at Lincoln College. I have felt for a long time that university is not for everyone and therefore the focus on A Levels and degrees has been at the cost of perhaps a focus on, and an appreciation of, technical education and a non-academic education. In my mind, both are equally as valid, so, introducing T Levels as the equivalent of A Levels is indeed great news. The extra investment will also see a 50% increase in the number of hours students will be trained for and replace the maze of 13,000 qualifications with just 15. This is not just good news for students and business, it is good news for our country and our county’s economy. We are a long way down the international league when it comes to technical education – in fact we are placed 16th out of 20 developed economies. This has to change. By aiming to ensure our teenagers are “work fit” in a number of key industries, we will help bolster the city, county and country’s young workforce and better take advantage of the opportunities that I firmly, positively and optimistically am sure Brexit will bring us. The government also announced an extra £2.5 million in road junction improvements on the A46 Lincoln Bypass, specifically the junctions with the A15 (to Scunthorpe), Nettleham (A46 to Market Rasen) and Wragby Road (A158 to Louth). This is on top of the extra Sunday trains between Lincoln and Nottingham announced by East Midlands trains and the start of the work to build the Eastern Bypass around the city, an issue I have relentlessly argued for at all levels of local and national government. Ensuring Lincoln is the jewel in the crown for the whole of the East Midlands, if not the whole country is my priority. We enjoy a real partnership between the public, private and charity sector across the whole of our city, and I will do my best to help ensure this continues. This is why the government when looking to invest in key sectors, looks instantly to Lincoln as a real area of opportunity because of its buccaneering partnership and positive outlook and willingness to do things differently and better. Lincoln is definitely now viewed as a place to be – and long may that continue.